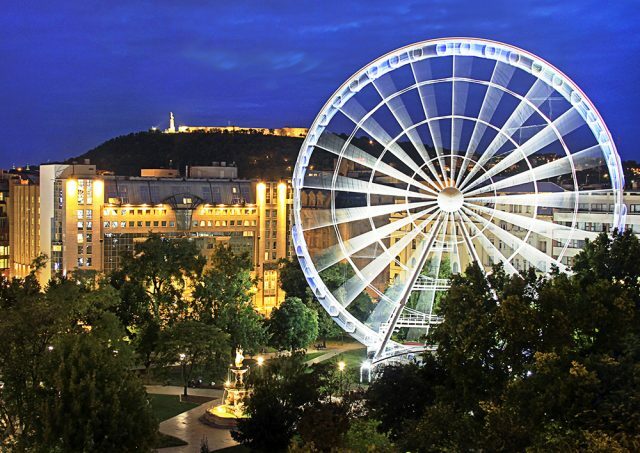 Often described as ‘the Paris of the East’, there is certainly an exceptional beauty to Budapest. Set against a magnificent natural backdrop, where the hills of Hungary meet the plains, this elegant capital also offers a rich architectural heritage, with influences from both the east and the west. Then there’s the river flowing through its heart, the Danube, as well as the famed thermal springs that have made this such a renowned place for healing. Inhabited since Roman times, countless styles of architecture have cast their presence here down the centuries – from Medieval and Ottoman through to Baroque and, more recently, the Secessionists. The result is a city that is almost unsurpassed in the diversity of its built heritage, and this is one of its undoubted charms. In short, there is a new treasure to discover around every corner. Divided through its centre by the Danube, Budapest is essentially a city of two halves. On one side there is the hilly district of Buda, with its cobbled thoroughfares, walled citadel and the royal palace (aka Buda Castle), and, on the other, the flatter downtown area of Pest, with its imposing Parliament building, Saint Stephen’s Basilica and medley of museums. Then there’s the oasis at its centre, Margaret Island, considered by many to be one of the best parks in Europe. A great way to start your visit is with a ride aboard the charming funicular railway, which has been running since 1870, up to the castle area of Buda’s Old Town. This is the city’s medieval heartland, and aside from Castle itself, it is also notable for its narrow alleyways, pastel-coloured burghers’ houses and the magnificent Matthias Church. Our own top tip for this area is a visit to the caves and cellars beneath Castle Hill, ‘The Labyrinth’, where you can embark on a fascinating tour. Once you emerge, blinking in the sunshine, be sure to head for the turreted arcades of the Fishermen’s Bastion. Here you can enjoy one of the finest vantage points of the city with panoramic views across the water to Pest – a perfect photo opportunity. It is also in this district that you will find the Budapest History Museum, which tells the story of the city from Roman times until the present day. Spread across four sites in all, the museum features archaeological findings, historical objects and works of art, providing a useful context to your stay. For an insight into the darker side of Hungarian history, the Museum of Terror, which traces the history of the fascist and communist regimes of the 20th century, is also well worth a visit. Talking of museums, another must-see is the Museum of Fine Arts, home to one of central Europe’s richest art collections, which has recently re-opened after a three-year renovation costing £35 million. As part of the new look, they have also opened up a former storage area, the stunning Romanesque Hall, the first time the space has been open to the public since the Second World War. In any event, with more than 85 official museums across the city, whatever your area of interest, there is sure to be something that will appeal. The official tourist board has a handy page on its website, providing a brief summary of each one, so have a look there for inspiration. Back on our little guided tour, once you’ve got the obligatory Insta-pic of the spectacular panorama over Pest, it’s time to head down the hill to explore that side of the river further. Just ahead of you, you will spot one of the city’s most famous landmarks, the Chain Bridge, built in the 19th-century. Then, from there, it’s just a short walk to St Stephen’s Basilica, the city’s tallest church. Dedicated to the country’s patron saint, here you will also find his mummified hand, no less. 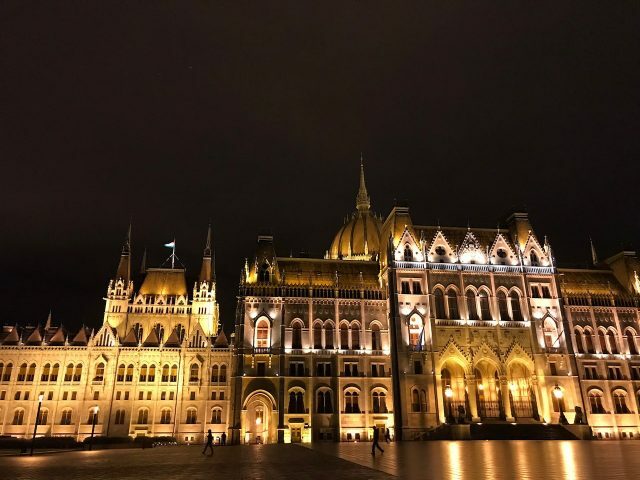 Among the many other highlights on this side of the river are the monumental Parliament building, a true Neo-Gothic wonder; the Great Synagogue, which is the largest in Europe; and the Hungarian State Opera, reputed to have some of the best acoustics of any concert hall in Europe. And that’s just the start! Wherever you decide to go in the city, the one thing you absolutely must do during your stay is to enjoy a soak in a thermal bath. Long renowned for its beneficial waters, there are estimated to be around 1,000 natural spring water sources across Hungary – and some of those in Budapest date back to Roman times. There are baths located all over the city but among the best are Széchenyi, Gellért, Király and Rudas – the latter having the added benefit of a women-only day on a Tuesday. For those with an interest in health and wellbeing, or simply just being amongst nature, the other place that you must visit is the aforementioned Margaret Island – a green oasis that is right at the heart of the city, yet splendidly isolated by the river. Located just off the romantically-restored and candelabra-rich Margaret Bridge, this bucolic escape will instantly become your sweet spot. Something of a Mecca for sporting activity, it is particularly well-known for its amazing rubber-coated running track that encircles the whole island. Over 5km long, and conveniently marked every 500m, it also offers lovely views of the river. Alternatively, you can enjoy a dip in the Palatinus water park, which is Europe’s largest open-air swimming complex, or the Alfréd Hajós swimming pool. Last but not least, there are also tennis courts and an athletics centre. For those who prefer a gentler pace, you can also just meander through this almost one square-kilometre island to discover its attractions. Among the highlights are the Music Fountain and the Water Tower, both of which are protected UNESCO sites, as well as the small Japanese garden and the tiny zoo. After all that exercise, you’ll no doubt be ready for some good old-fashioned goulash – the national dish of Hungary – or perhaps some töltött káposzta (traditional cabbage roles). The culinary scene in Budapest has really exploded in the last 20 years and there’s no shortage of excellent places to try the local cuisine. Among our own favourites are the brilliant little bistro Déryné for its authentic, welcoming atmosphere; the Mandragora for its carefully-curated selection of local, seasonal fare; and, if you really want to push the boat out, then the Michelin-starred restaurant Onyx. Also, whether for lunch, dinner or a simple snack, it’s worth having a wander around Budapest’s Jewish Quarter, which has become something of a foodie destination in its own right. Among the narrow streets, little alleyways and cute courtyards, there are some real foodie gems. Be sure to try a slice of flódni – a traditional Jewish cake comprising five layers of flaky pastry and four layers of filling: poppy seed, stewed apple, walnut paste and plum jam. For something a little different, there is also an amazing Italian restaurant near the centre, Bottega de Brontolo, notable for its vaulted archways. Another thing that Budapest is renowned for, of course, is its beautiful coffee houses. Something of an institution in the city, they became a gathering place for writers, poets and artists in the early 1900’s – not unlike Paris – and remain a popular haunt today. 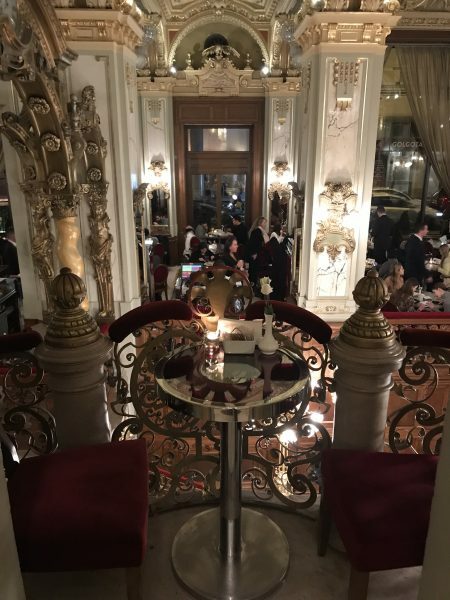 Among the most iconic are Café Gerbeaud and the New York Café, though avoid peak times when they can be very busy, or the oldest in the city is Ruszwurm, which opened its doors in 1827. To accompany your coffee, order yourself a slice of Dobos torte, a creamy, caramel delight that has been a popular treat here since the 1800’s. In more recent years, Budapest has also built a reputation for its buzzing nightlife. As such, there are no end of places where you can enjoy a local wine or two – such as the renowned romkocsmas (ruin pubs/bars) that have sprung up in derelict industrial spaces. If you only have time for one, try Szimpla Kert in the Jewish Quarter. For a drink that is cheap and cheerful, Turiszt Büfém is a real gem from the Communist era, or other good bars include Fogasház, known for its rock-music heritage, and the 360 Bar with its fabulous rooftop ‘igloo’ garden. When it comes to choosing a place to stay, you can’t beat the luxurious five-star hotel, The Kempinski, a haven of serenity in downtown Budapest. Also offering a host of delicious dining options, there are two restaurants, two bars, a coffee house and a deli. Plus, the stunning spa is well worth a visit in its own right. Alternatively, other solid hotel options include the Opera Garden, Hotel Moments, K&K Hotel Opera and the Continental Hotel. Finally, no city break would be complete without a spot of shopping. A good starting point for this is the pedestrian area of Budapest, Váci street, which is lined with accessory, souvenir and gift shops. For something a little more high-end, wend your way to the iconic Andrássy Avenue, renowned for its beautiful architecture and home to some of the world’s leading designers. Alternatively, the West End shopping mall, chock-a-block with chain stores, is one of the largest in central Europe. 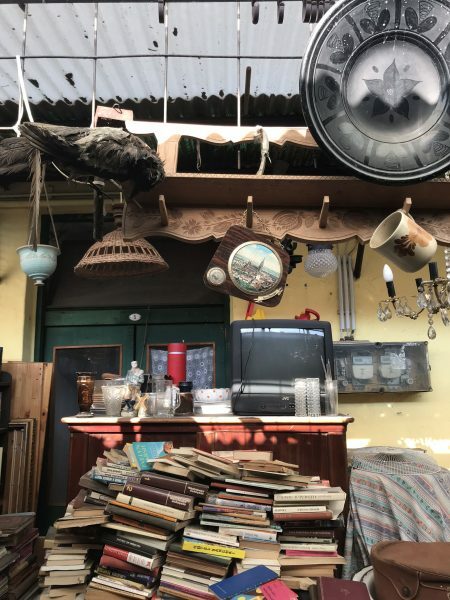 Or, at the other end of the scale, for second-hand and vintage items, there is the excellent Ecseri Flea Market. 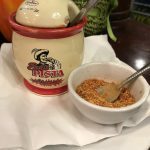 For local foodie treats, head for the famous Great Market Hall, where you can pick up some of the country’s signature spice, paprika, or for the authentic locals’ experience, try Lehel Tér. There is also the Szimpla Farmers’ Market every Sunday. If you’re in need of any inspiration for souvenirs, we’re also fans of the independent professional perfumier, Zólyomi, where you can even have your own personal fragrance concocted for you by appointment. At Helia-D, you will also find fabulous face creams and spa stuff – and, for clothing, there is the Nubu Flagship Store, which is one of Hungary’s leading fashion brands. 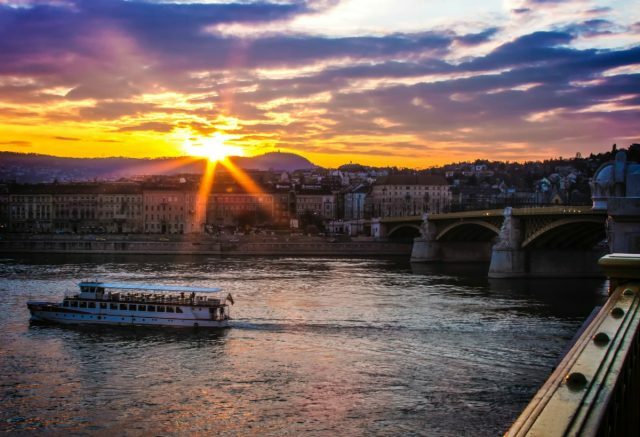 In summary then, Budapest really does have it all – so it’s no wonder that it’s now being tipped as one of the hottest spots to invest property-wise. Just be sure to get in there before everyone else does.